Looking Cool Going Back to School - Adwear Specialties Inc. The kids may not be excited about it, but we are! August is Back to School time! Adwear Specialties will outfit you in the latest styles and tech gear to get you back to school looking cool. Personalize any school gear with custom embroidery or custom screen printing . This Media hoodie has the soft comfort and versatility that will make it your new favorite. It features thumb holes at the cuffs, two antique-nickel tipped flat draw cords and a media pocket inside the pouch pocket to secure your phone or valuables and to keep your earbuds discreet. This 4.3 oz. ultra-soft hooded zip tee is lightweight and can be worn as a tee shirt alone or is perfect for layering. 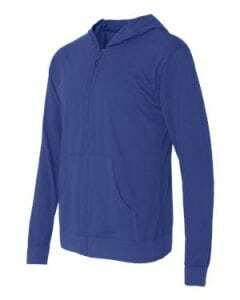 It features 1×1 rib cuffs and waistband, unlined hood and premium dyed-to-match YKK kissing zipper. 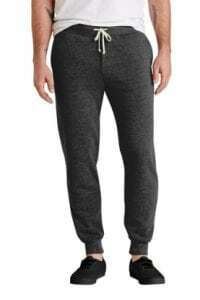 Whether you’re hanging out or working out, our fleece pant is sturdy, yet soft, with a modern slim fit. 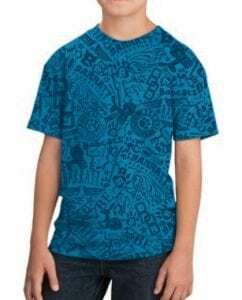 6.5-ounce, 50/46/4 poly/cotton/rayon triblend fabric is so comfortable you won’t want to wear anything else. Features draw cord and ribbed waistband and cuffs. Promote your organization with all over Stain Imaging. This unique decorating process covers 100% of the shirt. You can use one, or multiple logos to create a one-of-a-kind all over printed effect. Works with all shirt colors and works best with 100% cotton tees, such as the Gildan 2000. Minimum order is 144 shirts. Call for quote. 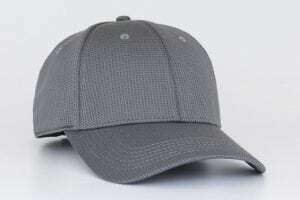 This Air-Tec Performance hat features a lightweight, poly/spandex mesh weave design for durability, comfort and performance. The U-Shape visor allows you to shape it however you want and is a great complement to any logo. 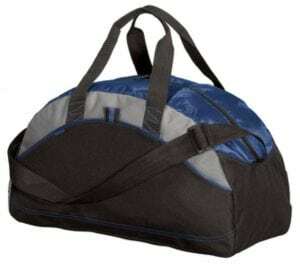 The contrast top and stitching gives this budget-conscious duffel athletic flair. 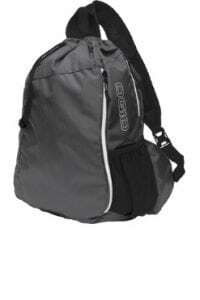 Bag has an adjustable shoulder strap and and mesh end pocket and front pocket. 10”h x 17.5”w x 7.75”d. Great for exercise class gear. 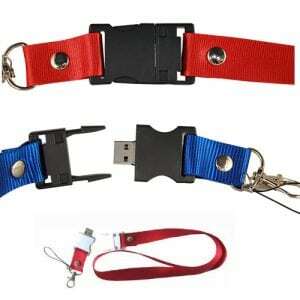 This lanyard flash drives is accessible and convenient to carry your information wherever you go. Color options are red, royal blue, grey, white and black. Clip is 1.1” x 2” and the lanyard is 15.5” (W) x 75” (L). Capacity is 128MB – 16GB. Price will vary with storage needed. 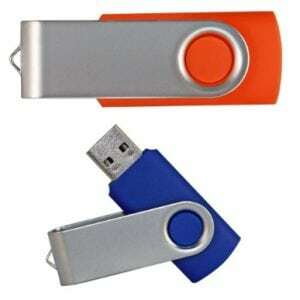 This swivel flash drive is compact and great for on-the-go information. It’s available in numerous colors with capacity of 128MB – 16GB. Dimensions are 2.05” (W) x 79” (L). Price will vary with storage needed. This Slim Solar Charger has a built-in 8,000-12,000 mAh lithium polymer battery for maximum charging. Features dual USB charging ports, micro USB port, emergency LED flash light and 4 LED light charge indicators for charging process and remaining power. With a sturdy metal case, this solar charger is compact, portable and stylish. Available colors are pink, blue, grey and black. These High Fidelity Ear Buds feature a comfortable in-ear design with soft silicone rubber ear tips that reduce outside noise. 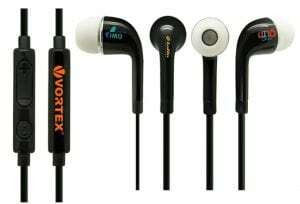 Excellent sound quality with built-in microphone for a portable and lightweight headphone. Acoustically engineered to produce exceptional frequency response for an enhanced listening experience. Works with smartphones, tablets, computers, MP3 players and other devices with 3.5mm port. Total length is 40.75”. Available colors: Black and White.